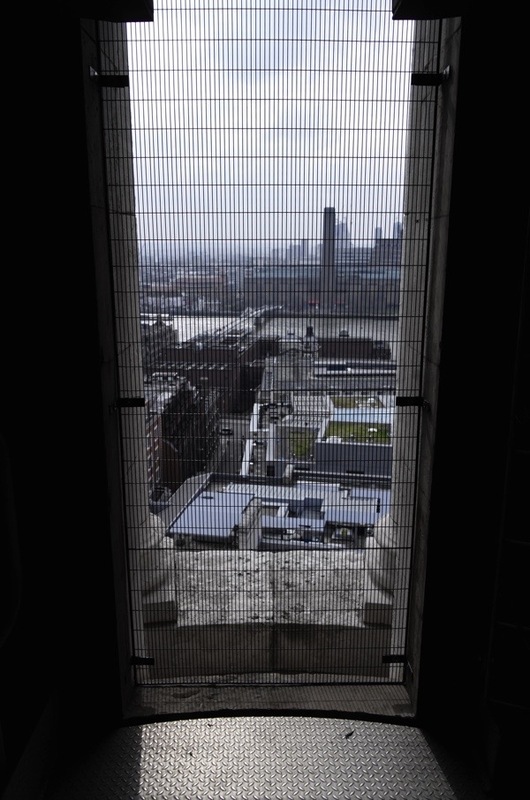 Like bats, bells lead secluded lives hibernating in dark towers high above cathedrals and churches. 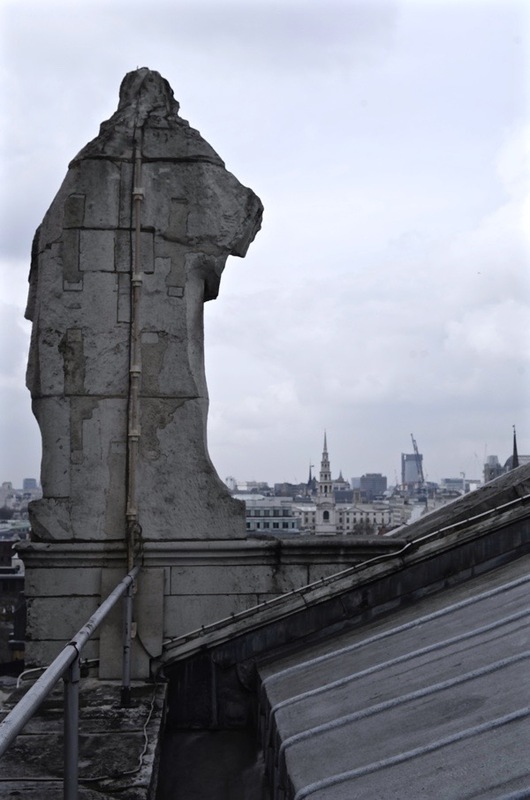 Thus it was that I set out to climb to the top of the south west tower of St Paul’s Cathedral last week to visit Great Tom, cast by Richard Phelps at the Whitechapel Bell Foundry in 1716. 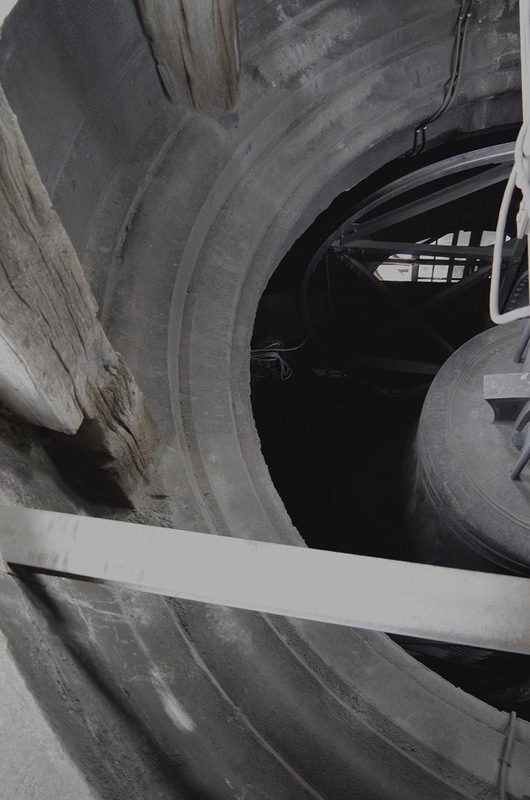 At 11,474lbs, Great Tom is significantly smaller than Great Paul, its neighbour in the tower at 37,483lbs, yet Great Paul has been silent for many years making Great Tom the largest working bell at St Paul’s and, if Big Ben (30,339lbs) falls silent during renovations this year, then Great Tom will become London’s largest working bell. 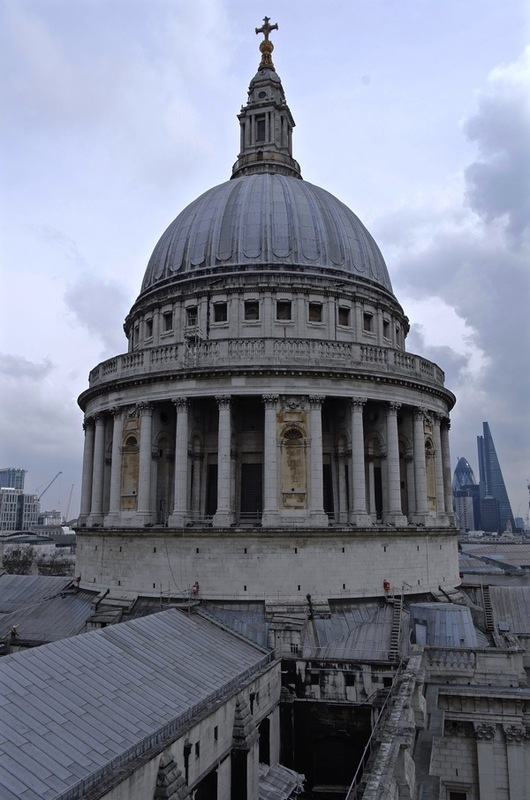 To reach Great Tom, I had first to climb the stone staircase beneath the dome of St Paul’s and then walk along inside the roof of the nave. 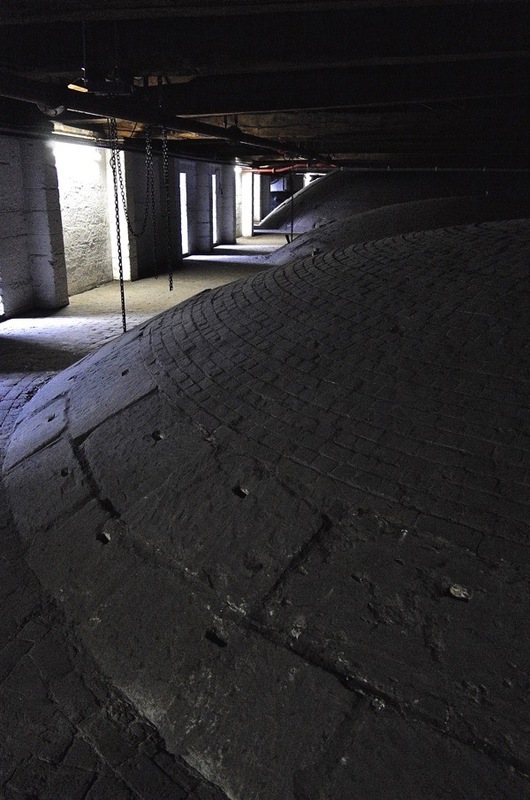 Here, vast brick hemispheres protrude as the reverse of the shallow domes below, creating a strange effect – like a floor of a multi-storey car park for flying saucers. 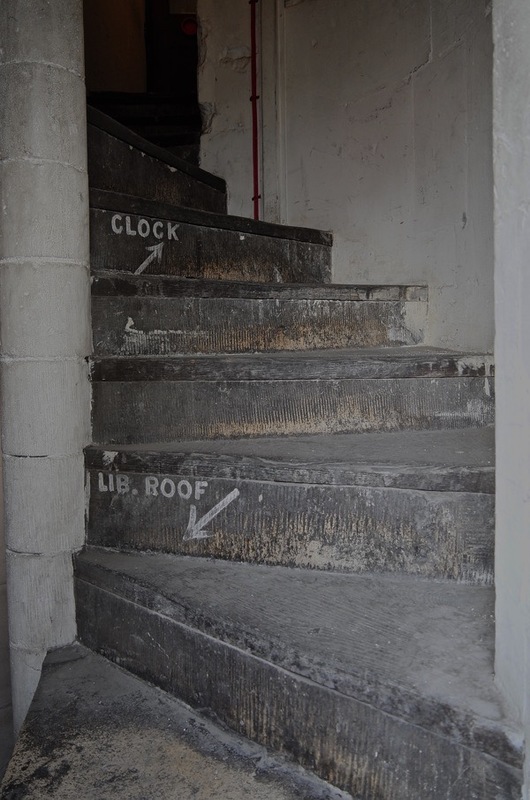 At the west end, a narrow door leads onto the parapet above the front of the cathedral and you descend from the roof of the nave to arrive at the entrance to the south west tower, where a conveniently placed shed serves as a store for spare clock hands. 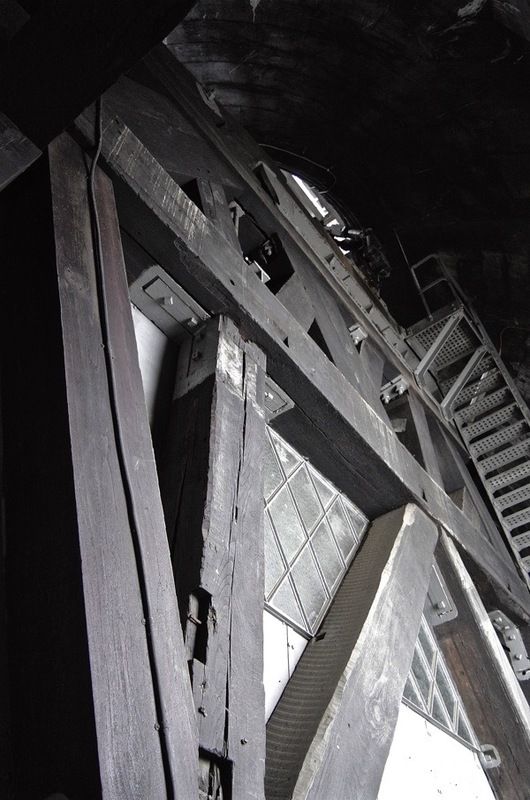 Inside the stone tower is a hefty wooden structure that supports the clock and the bells above. 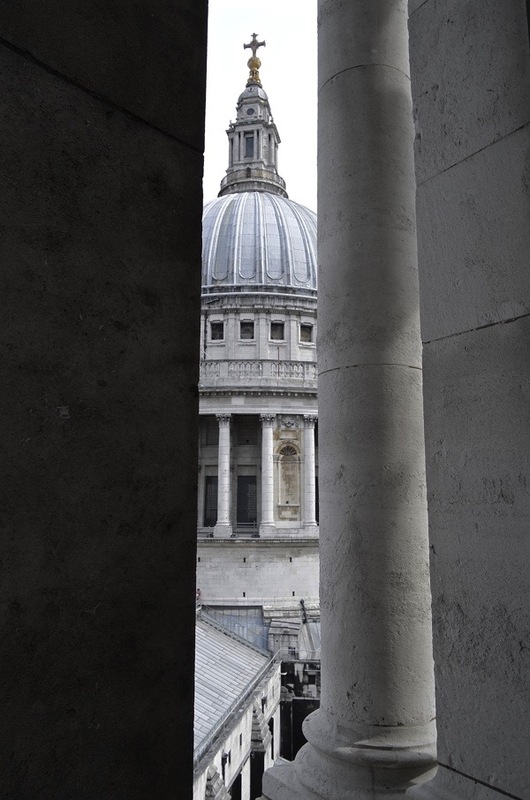 Here I climbed a metal staircase to take a peek at Great Paul, a sleek grey beast deep in slumber since the mechanism broke years ago. 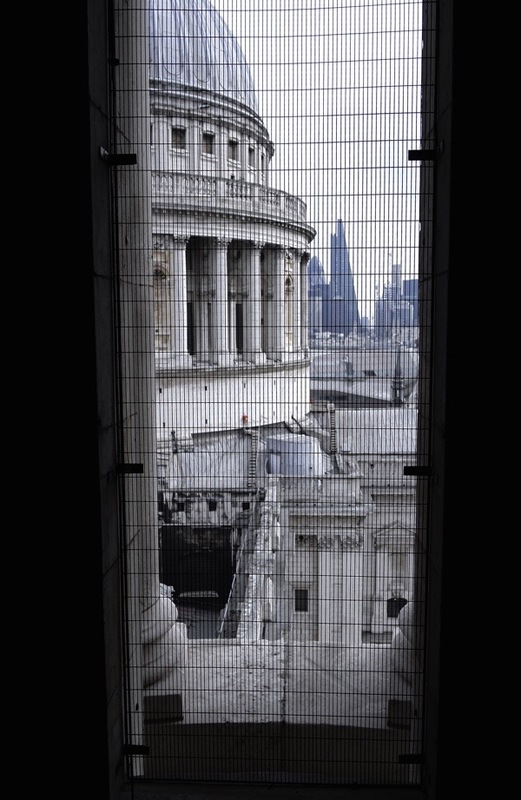 From here, another stone staircase ascends to the open rotunda where expansive views across the city induce stomach-churning awe. 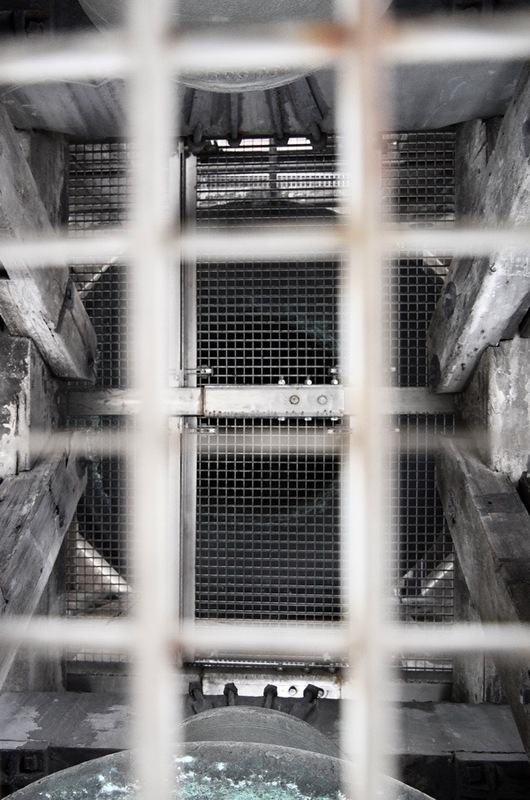 I stepped onto a metal bridge within the tower, spying Great Paul below, and raised my eyes to discern the dark outline of Great Tom above me. 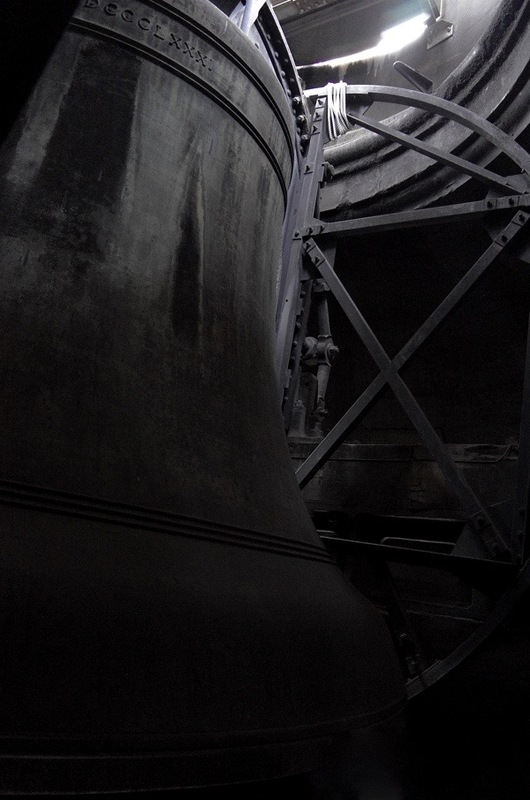 It was a curious perspective peering up into the darkness of the interior of the ancient bell, since it was also a gaze into time. 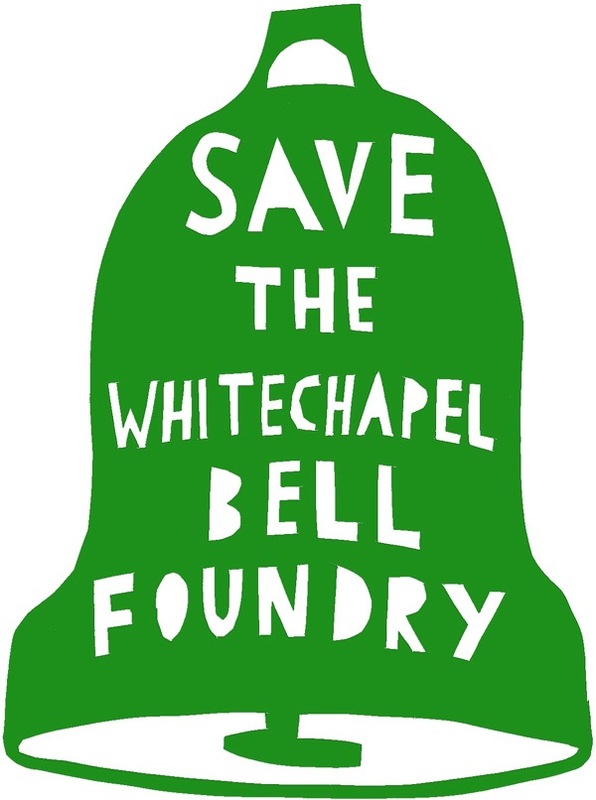 Yet this recasting was unsatisfactory and the next year Great Tom was cast again by Richard Phelps at the Whitechapel Bell Foundry. This was also unsuccessful and, seven years later, it was was cast yet again by Richard Phelps at Whitechapel, adding the inscription ‘RICHARD PHELPS MADE ME 1716′ and arriving at the fine tone we hear today. 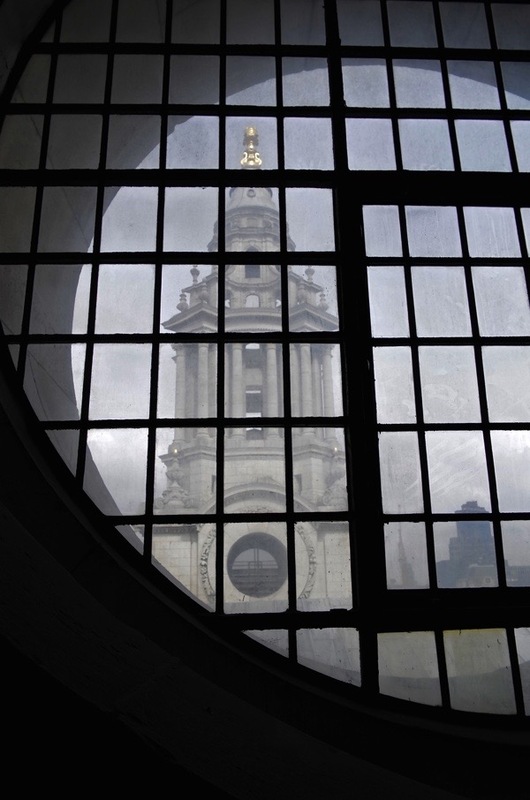 As well as chiming the hours at St Paul’s, Great Tom is also sounded upon the death of royalty and prominent members of the clergy, tolling last for the death of the Queen Mother in 2002. For the sake of my eardrums, I timed my visit to Great Tom between the hours. Once I had climbed down again safely to the ground, I walked around the west front of the cathedral just in time to hear Great Tom strike noontide. 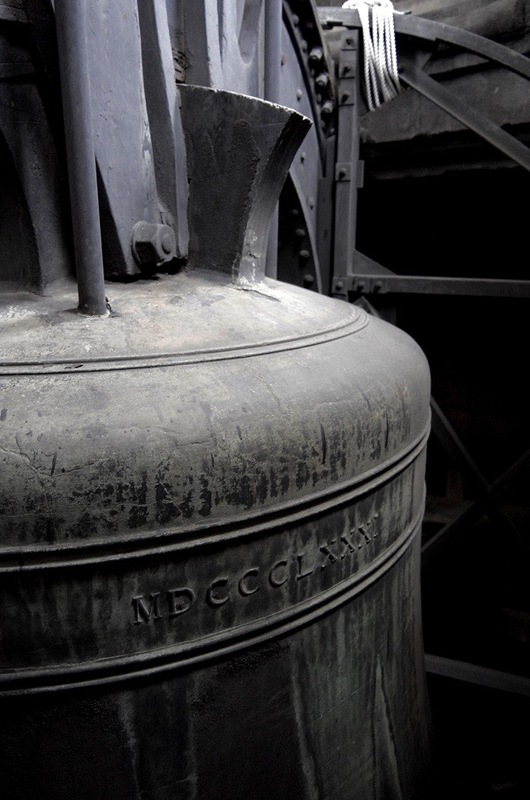 Its deep sonorous reverberation contains echoes of all the bells that Great Tom once was, striking the hours and marking out time in London through eight centuries. 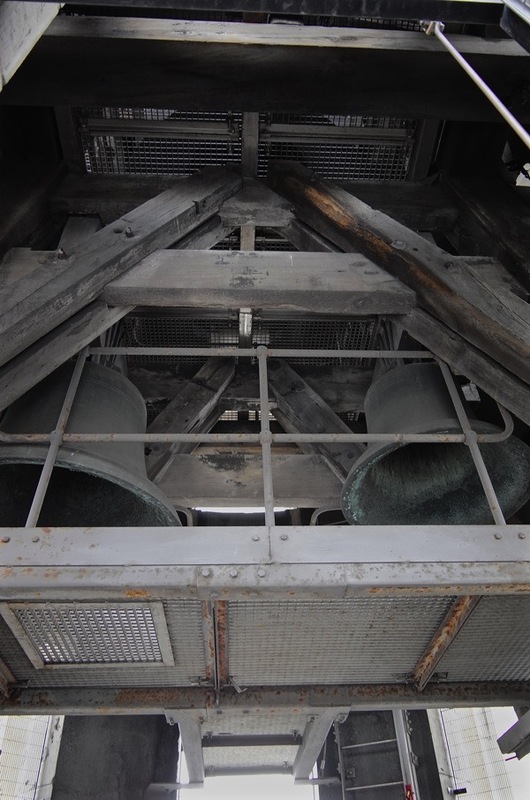 May I add ,from far across the sea that in my hometown of Burlington ,N.J. ,the parish of St.Mary’s Episcopalian church has bells from Whitechapel foundry. Here is a little grab off the wikipedia page about this lovely church…”It is a massive brownstone church with a long nave. 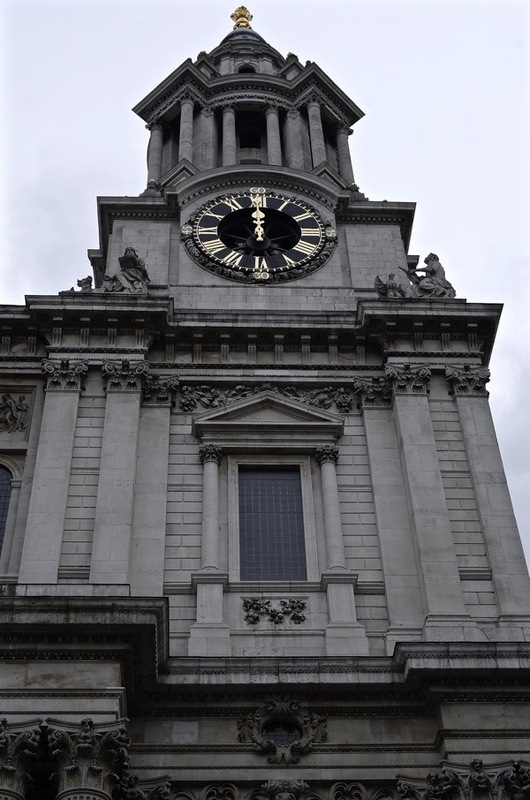 The crossing is topped by a tall stone spire that has eight bells cast in England by Thomas Mears II at the Whitechapel Bell Foundry in 1865. The church was designated a National Historic Landmark”. It is a beautiful old church and you can hear those beautiful bells peal across the town. I pray that this are going well with the petition to stop the sale and auction. There is just too much history to lose in an area of London that has already lost so much of it’s history to bombs and maniacal city planners and architects. So much history here. I wonder what happened to the person who was responsible for dropping Big Tom on its way from Westminster? I do hope that this campaign has a successful outcome. 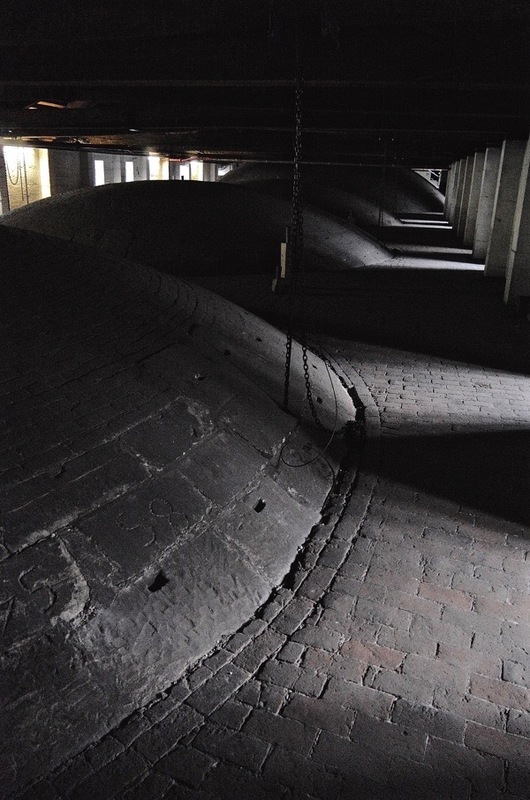 With an education system keen to promote British values and British history, I can think of no better way to engage children and develop a love of history than through the stories of our bells. I can imagine a set of History and English lessons on this topic. If I was retired, I would develop some or write a children’s book. 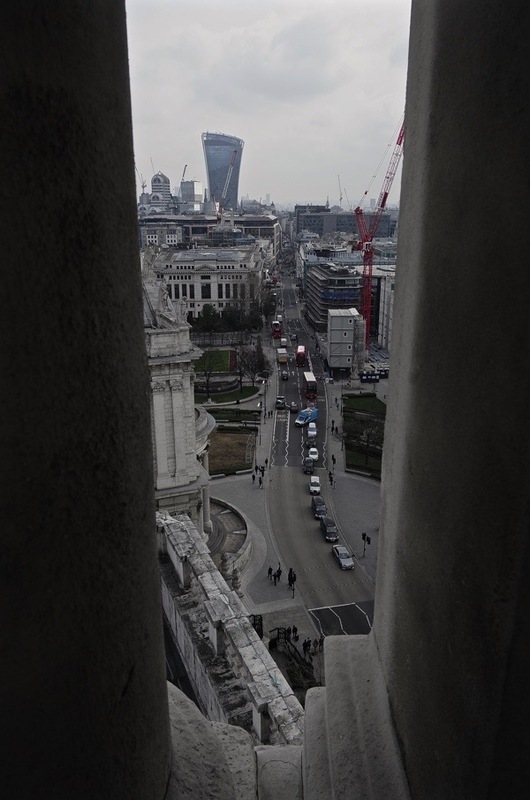 The words and pictures so vividly bring to life the history and heritage of the great city of London. GA, great story and pics. 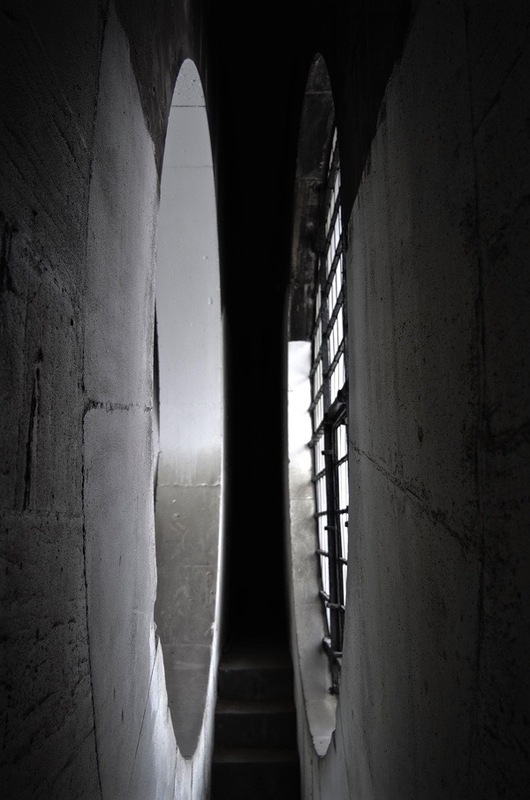 Thanks for the perspective from “up there.” You were wise to time your visit between the hours. Great photos. 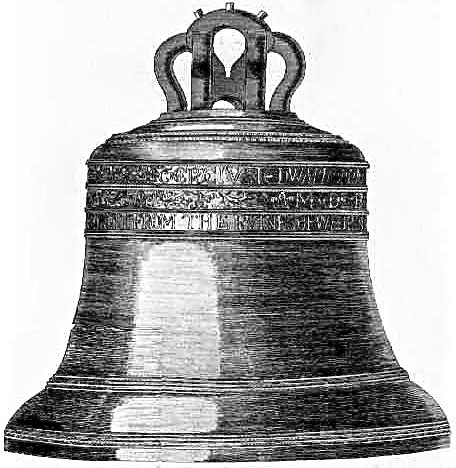 Must have been wonderful to get to see the bell. Helen Breen, I am with you in missing London … and am also in Boston. Glad you found the GA’s wonderful and evocative writing. Love the pictures. 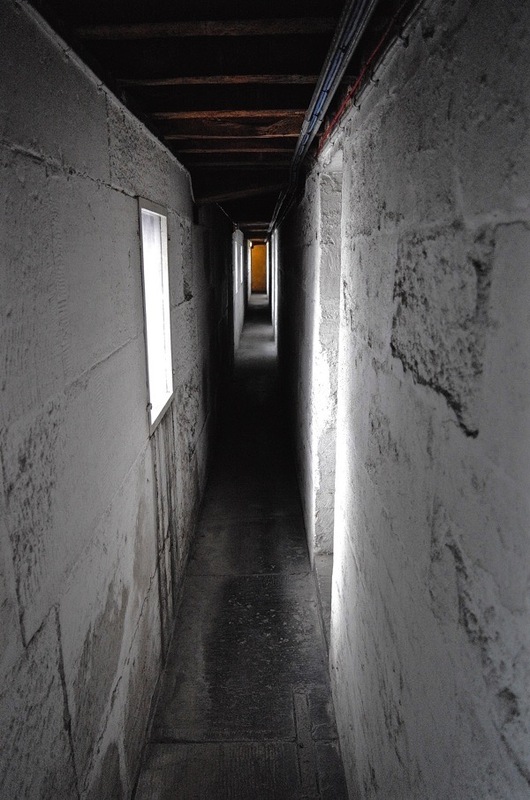 What narrow stairways! 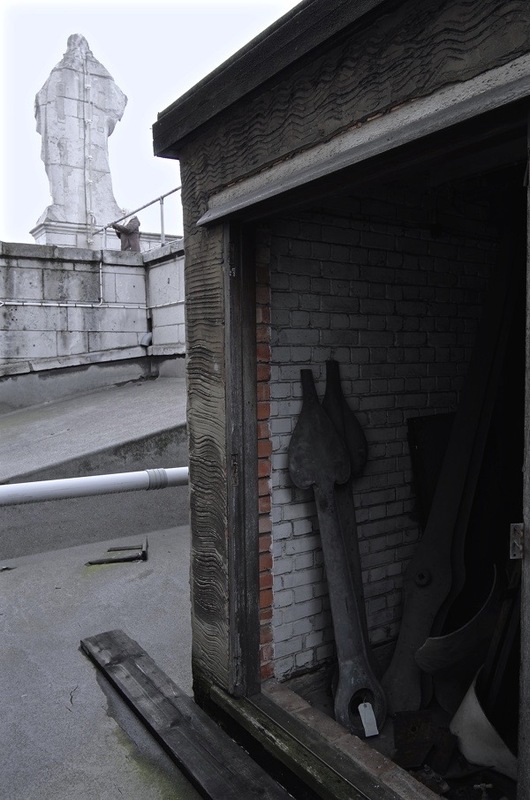 Such a treat to see behind the scenes and above the city, along with the rich history of these bells. Very interesting and fascinating photos, thank you. 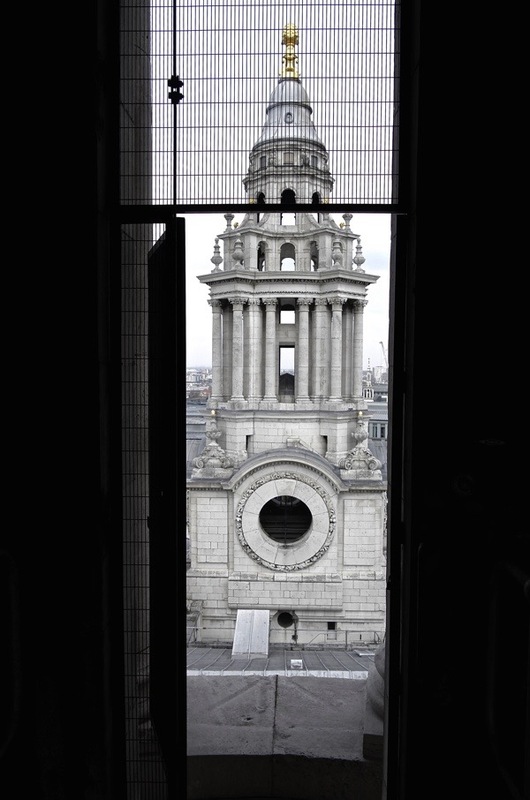 What a great back story and photos revealing the St Paul’s only known to certain people to the world.